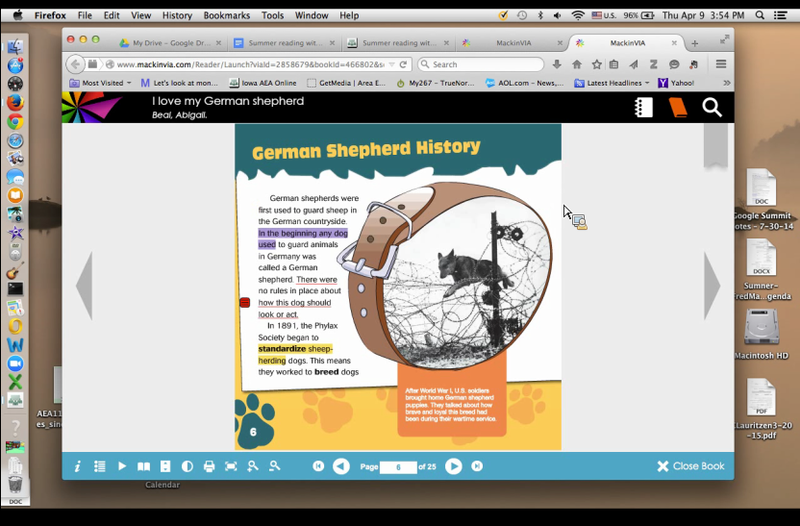 Join Edchat Interactive & Myself On May 14 To Learn About Buncee & Other Great Ed Tech Tools For Literature! 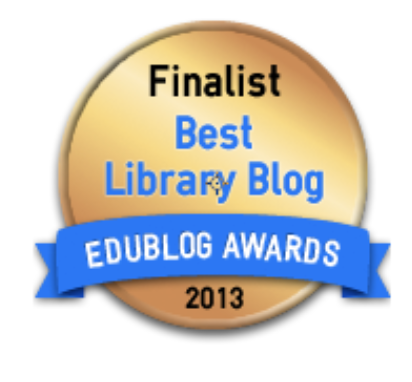 As educators, we are always looking for new ideas to engage our learners in literature. This is something that is important to all of us, no matter what we teach. 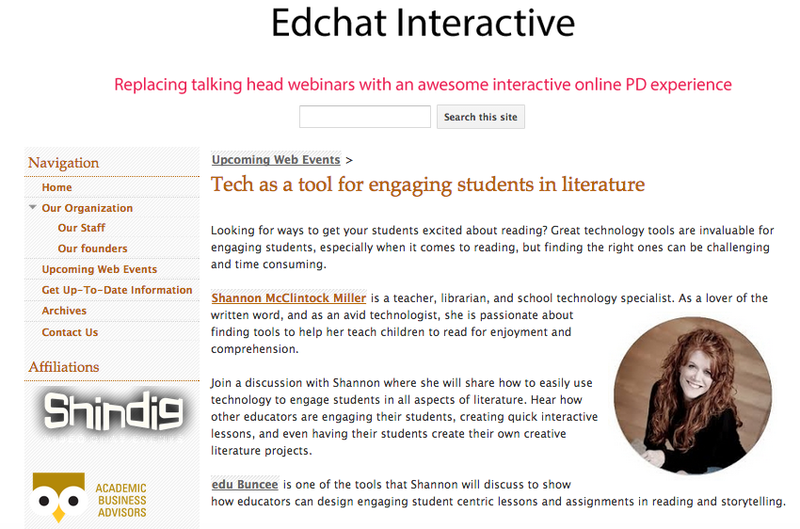 On May 14, I am going to share lots of ideas for using technology to engage students in literature in an Edchat Interactive event. 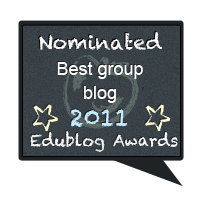 Please view the eduBuncee invitation above for more information. 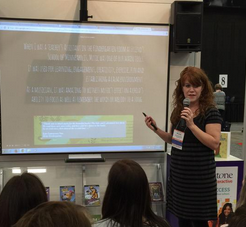 During this discussion, I will share how to easily use technology to engage students in all aspects of literature. 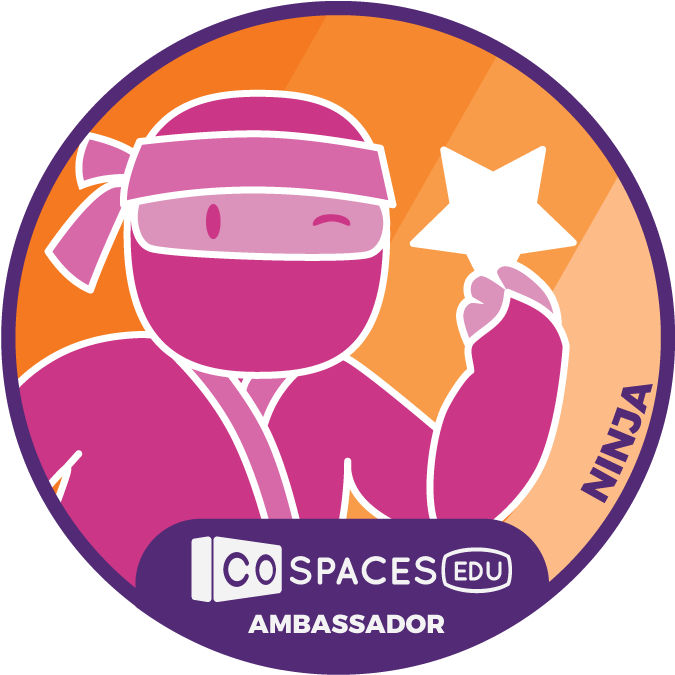 Hear how other educators are engaging their students, creating quick interactive lessons, and even having their students create their own creative literature projects. 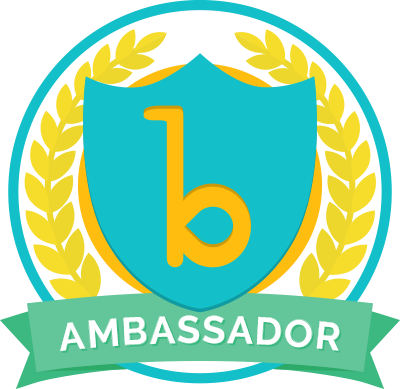 eduBuncee is one of the tools I will discuss to show how educators can design engaging student-centric lessons and assignments in reading and storytelling. 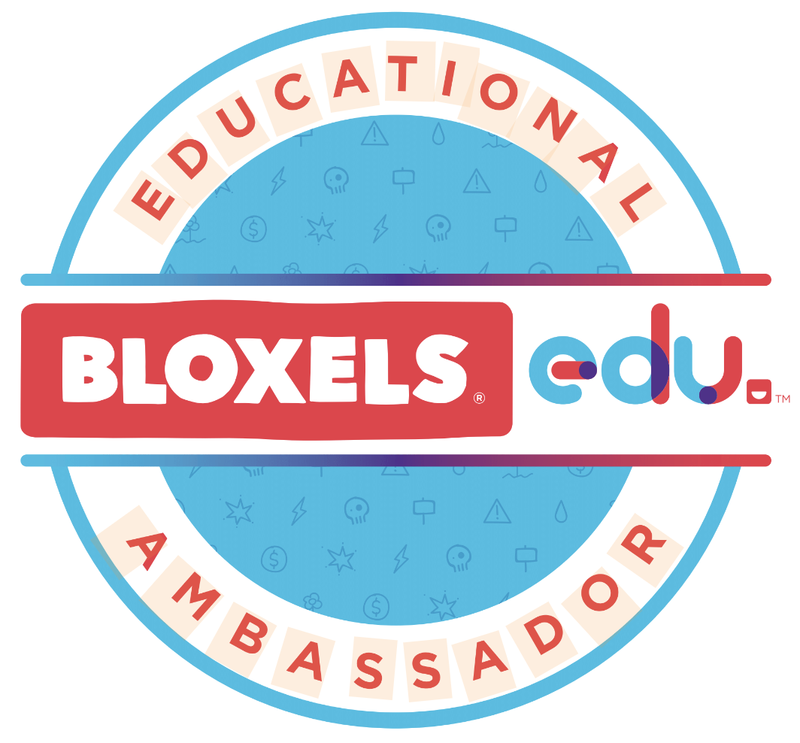 You can register for this special Edchat Interactive event here. 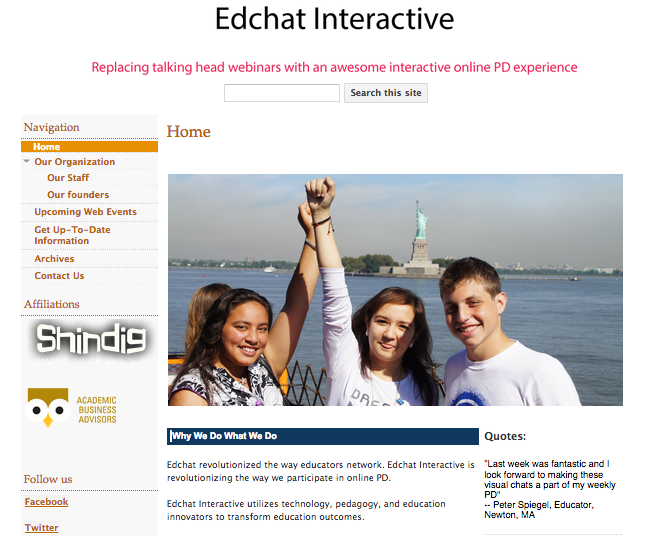 I also want to share Edchat Interactive with all of you. 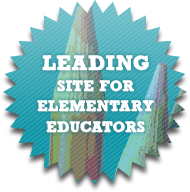 If you haven't participated in any of these discussions yet, please make sure you go to the Edchat Interactive site to read about this wonderful new organization and the awesome events they are bringing to all of us each month. I hope you can join us on May 14.....There will be something for everyone! 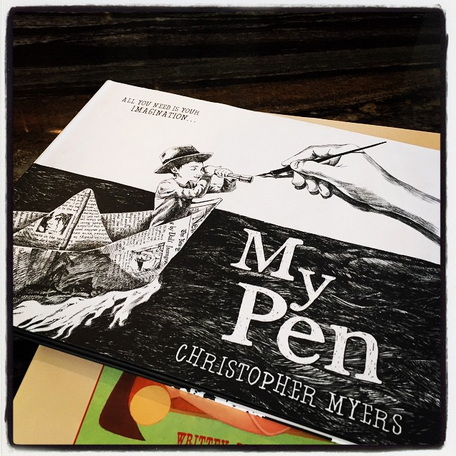 I just love My Pen by Christopher Myers. 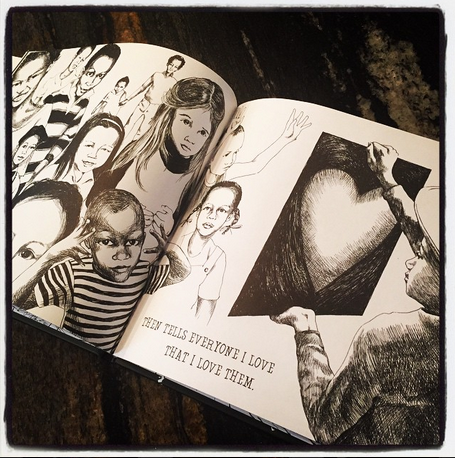 It is a powerful story of words woven together with beautiful pen and ink illustrations all created by Christopher. 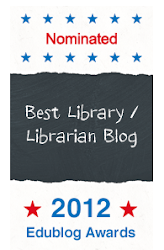 As first saw this book last week at the Texas Library Association Conference in Austin. The cover first caught my eye as I wanted to know what the hand would draw next within the pages of the book. 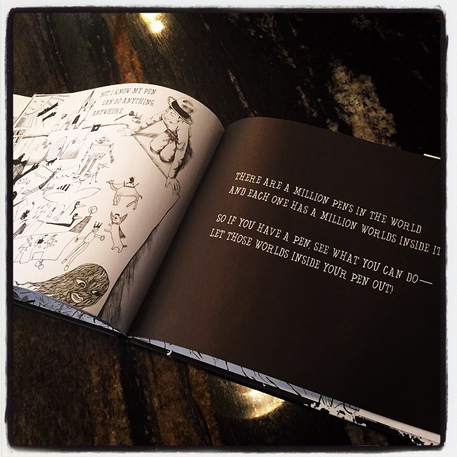 He has written such a thought provoking book that encourages readers to Let those worlds inside your pen out! 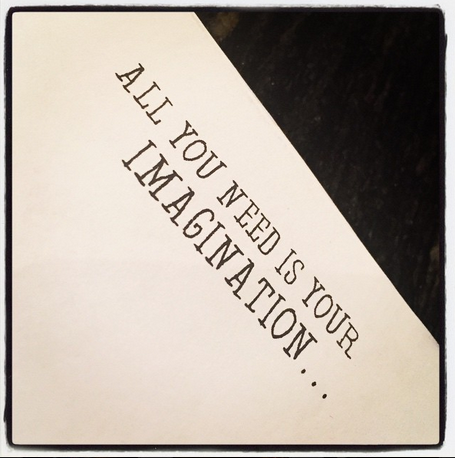 After I read it a few times, I thought of something that would be very cool to use with this book. 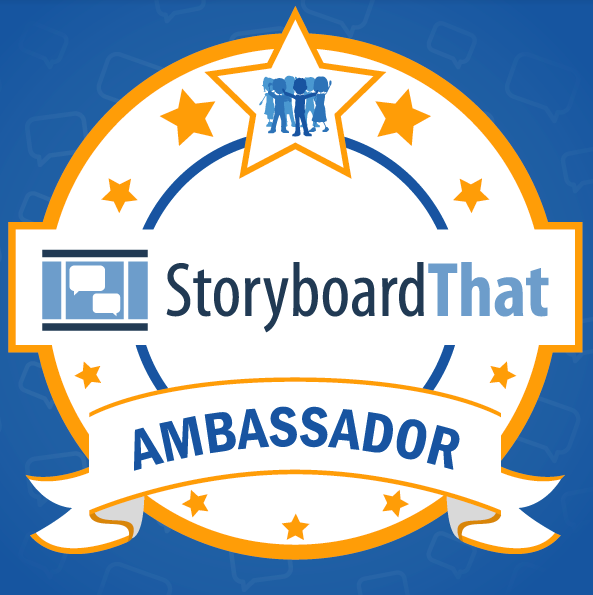 We could use the digital video scribing tool Explee to create our very own story of Our Pens and the things they wanted to draw and say. 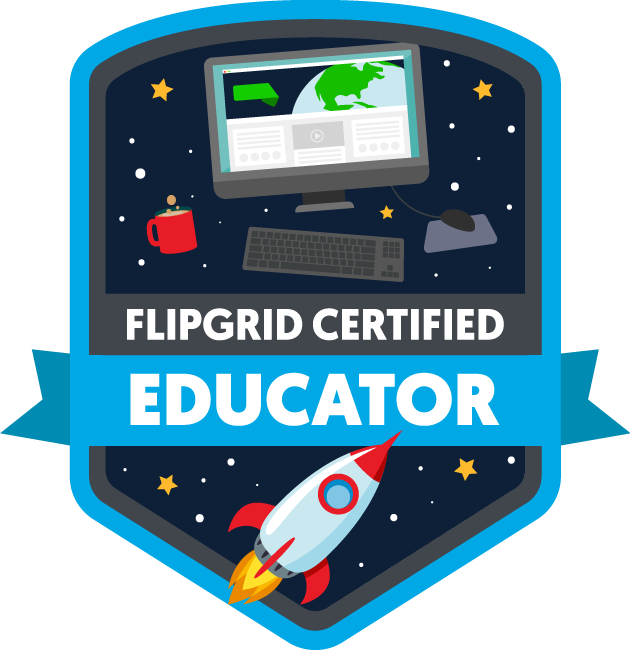 Explee for Education is a new tool and one that I have really enjoyed using. 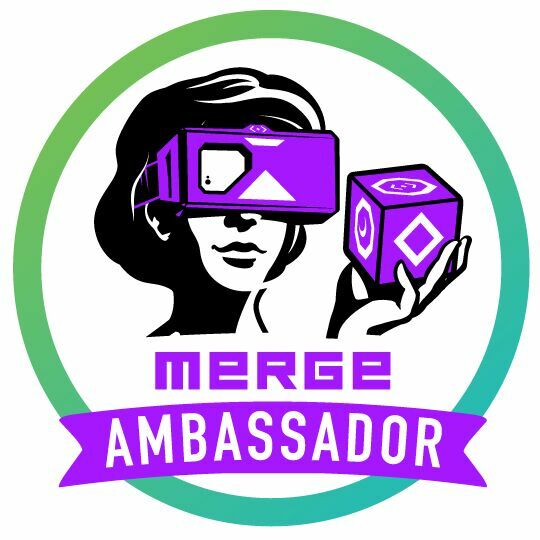 I wrote about Explee in this post...I Have A New Favorite Animated Video Creator.....Look What You Can Create With Explee! 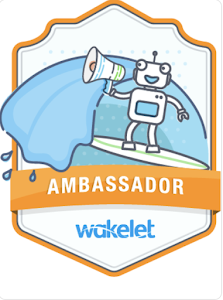 It will give you a better idea of how to use and sign up for Explee. 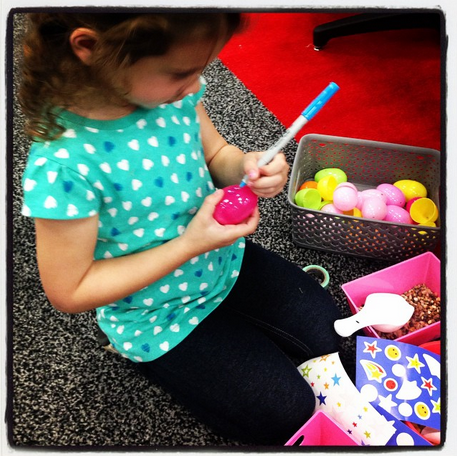 I gathered together some of my little friends and read The Pen with them. Then we choose illustrations from the library of images with Explee and words to tell the story of Our Pens. 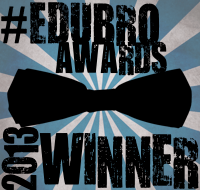 It is so much fun to put together images, words, and music to tell a story within Explee. You can even add your own voice....and voice to text too. 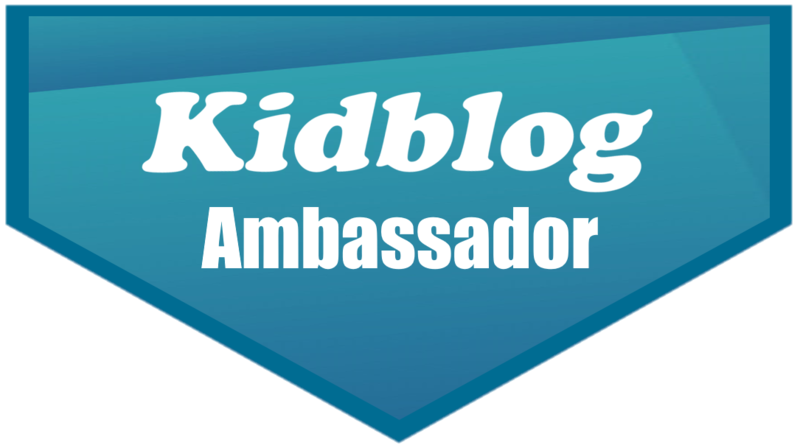 Once you publish your Explee, it is very easy to share through social media, email and by embedding it into a blog post or other format, which is what I did below. We hope you enjoy our Explee, Our Pens. 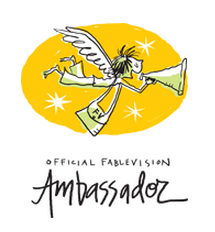 We would love to see what your pens would share with the world too. Thank you Christopher for inspiring us with your amazing story. 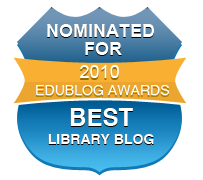 "Summer Reading With MackinVIA...Prevent The Summer Slide" From Iowa AEA 267! 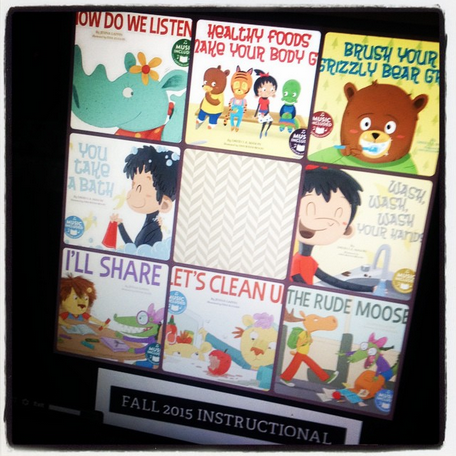 I have been sharing I Want To Read from Mackin Educational Resources in all kinds of conversations about summer reading....I am super excited about this tools that they have created for our young learners in grades K-5. 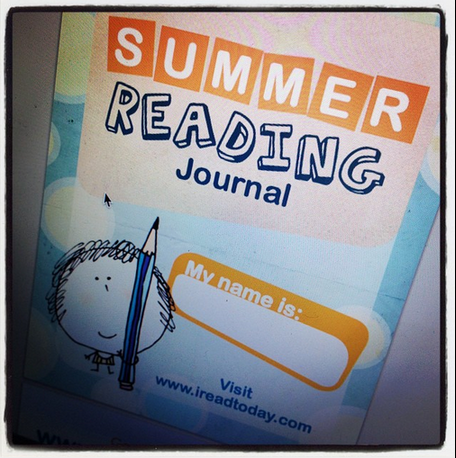 It is such a terrific way to get your students connected to reading and writing all summer long. check it out here too. 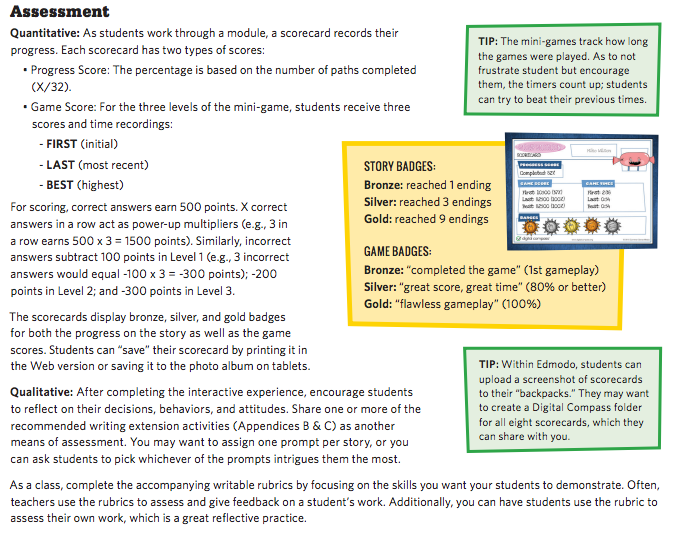 Now I want to show you what one of the wonderful state Area Education Agency's in Iowa, AEA267, created with Mackin to support and encourage summer reading. 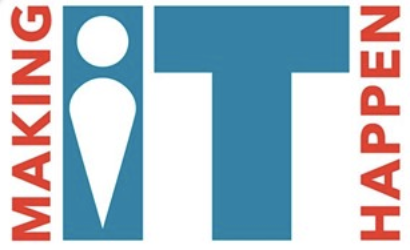 They have created their very own I Want To Read platform with books they specifically picked out for the children within their area schools. 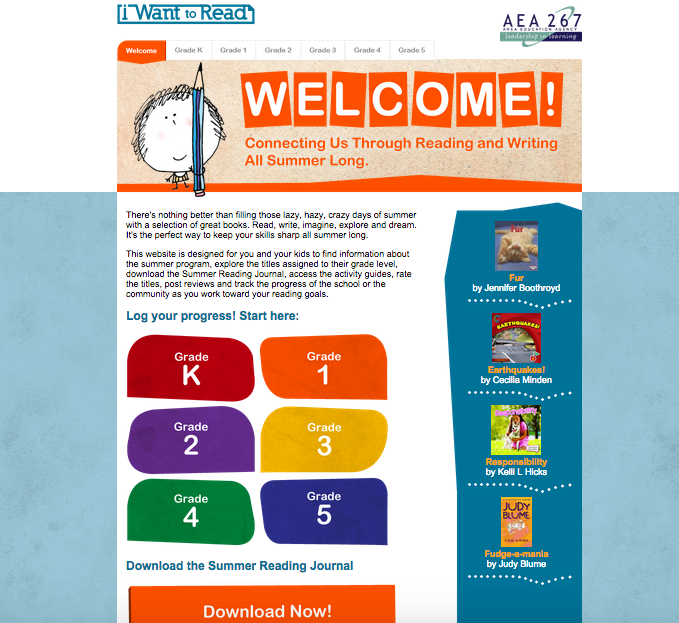 Along with the I Want To Read AEA 267 website, they have created bookmarks and other materials to go along with the site in order to get everyone excited and connected to the program. 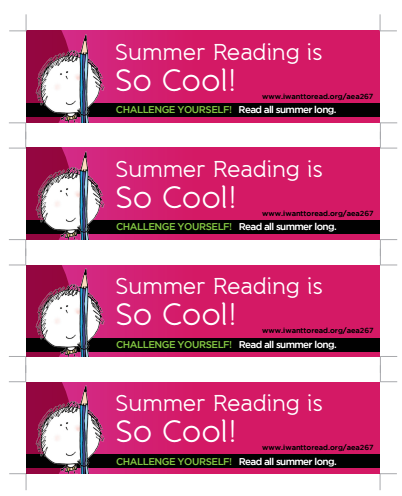 As they kicked off this program, Mesa Heise from Mackin, along with the amazing people at AEA267, hosted a webinar last week, Summer Reading With MackinVIA...Prevent The Summer Slide. They have shared it with us and you can watch it here too. 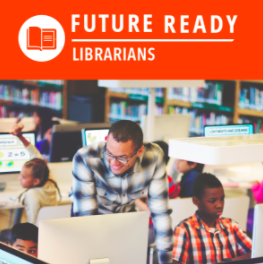 Within this webinar, they talk about the importance of summer reading and writing; the features of MackinVIA and how to access and use eBooks and eResources; and the I Want To Read website. 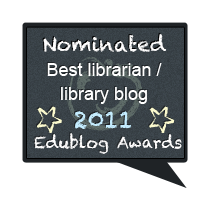 I hope you watch the webinar to collect some ideas for your own students and families.....And make sure you use and share the very special I Want To Read website too. 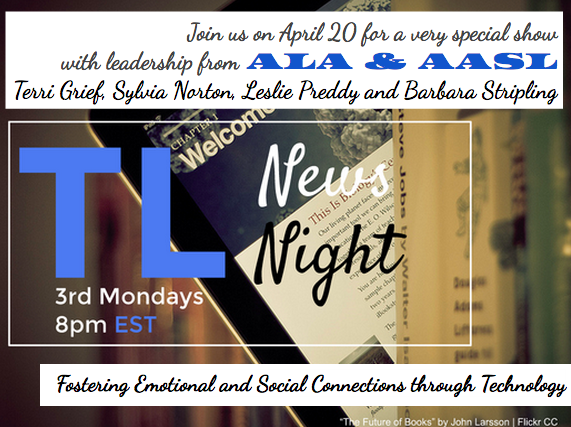 What An Amazing TL News Night With Special Guests From ALA and AASL! Each month I am part of the TL News Night team as we bring a 60-minute live show to everyone through Google Hangout. Last night we had four very special guests representing the American Library Association and the American Association of School Librarians. 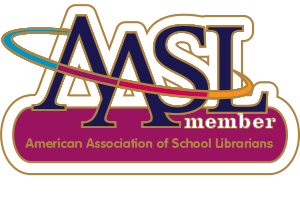 We hosted Terri Grief, current AASL President; Sylvia Norton, AASL Executive Director; Leslie Preddy, incoming AASL President; and Barbara Stripling, past ALA president. 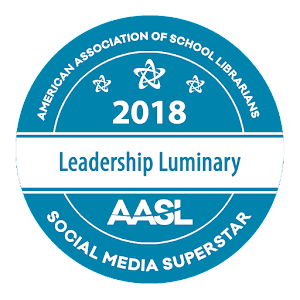 These are four leaders that we all look up and are inspired by throughout their work and advocacy for school libraries, libraries, and the patrons we all work with. 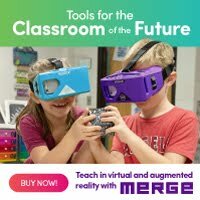 The title of their amazing presentation was Fostering Emotional and Social Connection Through Technology. I hope you watch the recording of the show above...It is one you just don't want to miss. 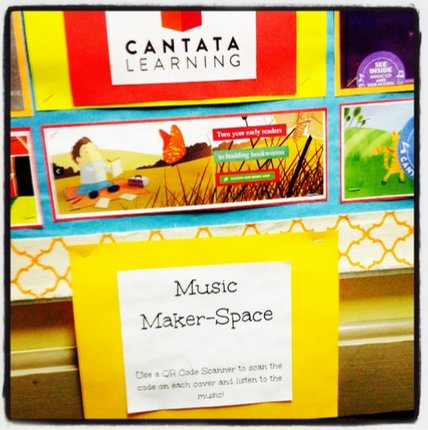 What Fun We Had In The Cantata Learning Musical Makerspace At TLA....See How We Did It! 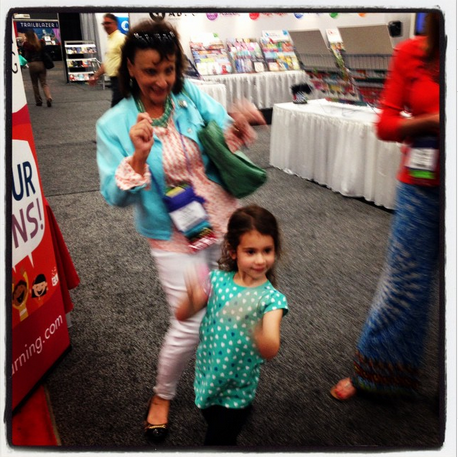 Last week I was in Austin, Texas for one of my favorite events of the year....the Texas Library Conference! 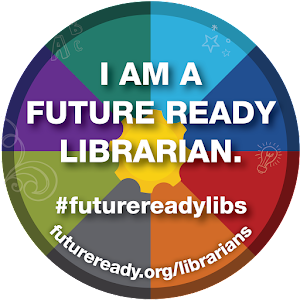 It is awesome to learn, connect, and share among all of the amazing librarians and educators in Texas. 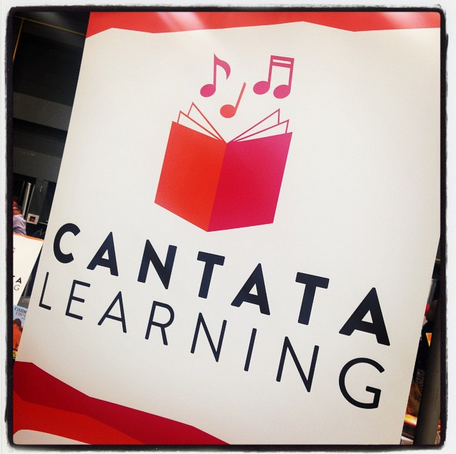 One of the very best things about TLA was being part of the Cantata Learning team. 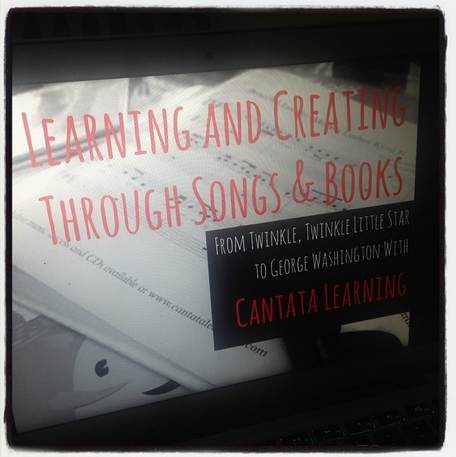 I presented Learning and Creating Through Songs & Books....From Twinkle, Twinkle Little Star to George Washington With Cantata Learning in the Capstone booth twice during the conference. 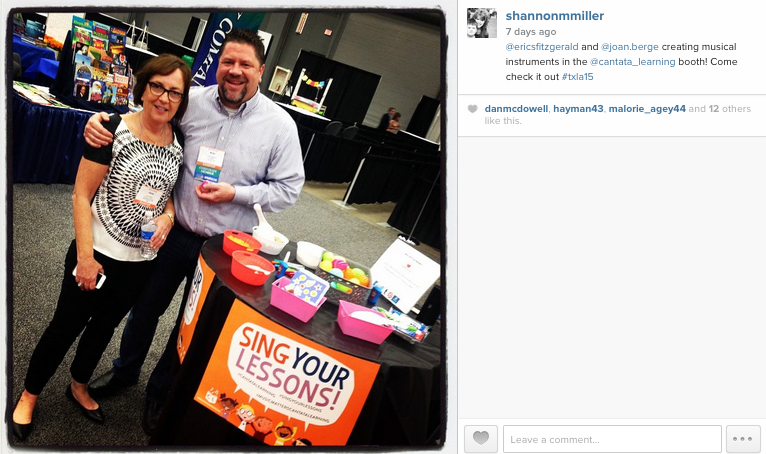 It was exciting to share and gather even more ideas from participants as we shared how to integrate music, movement, and literacy into the library to bring fun and excitement into learning. 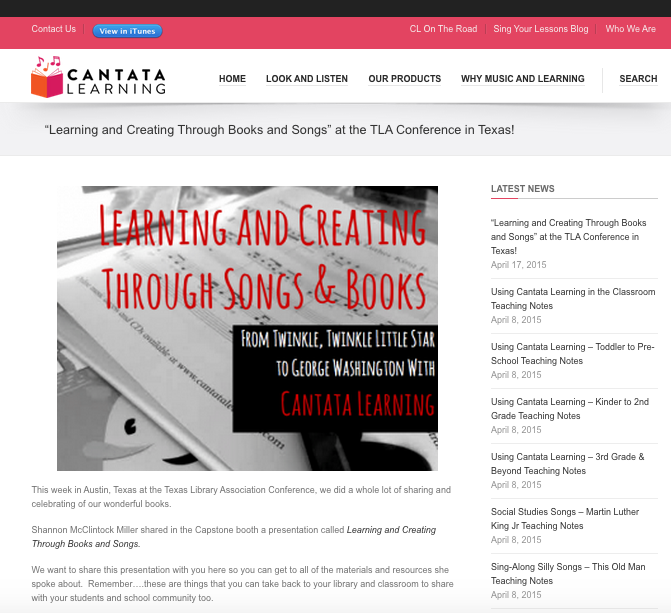 You can read all about it on the Cantata Learning Sing Your Lessons Blog. 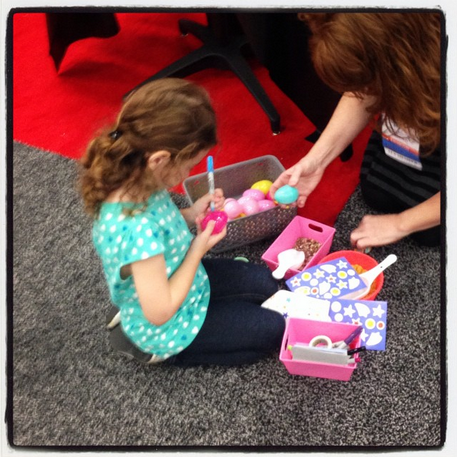 But what made TLA really fun and special was being able to create, tinker and play in the Musical Makerspace we set up in the Cantata Learning booth. 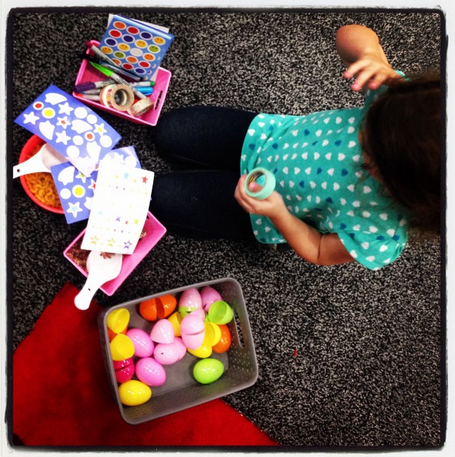 I loved finding a few little ones around the conference to be able to create musical instruments with. and lots of smiles to TLA. 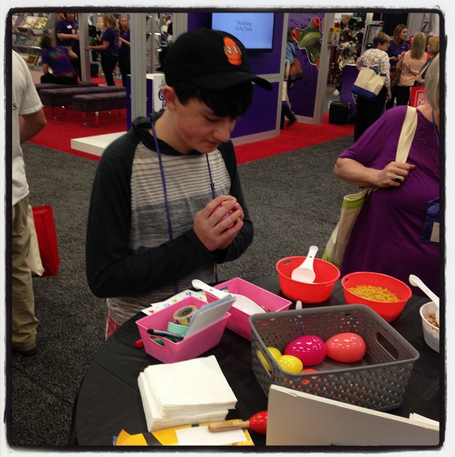 Joan Berge and Eric Fitzgerald proved that anyone loves creating in the wonderful Makerspace we created. 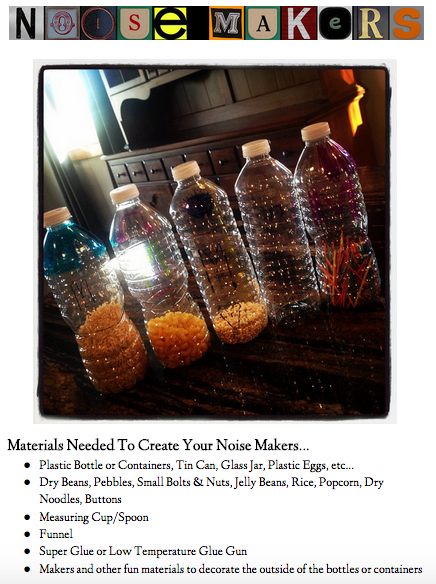 We have created a Google Document on how to create the Noise Makers....You can find it here. 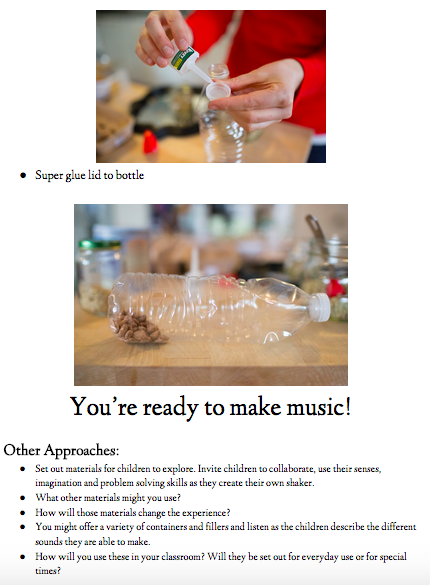 Feel free to print it off and use it with your students in the library, classroom or at home to create music makers with your little ones too. 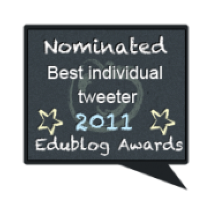 You could even laminate this and put it into your Musical Makerspace. 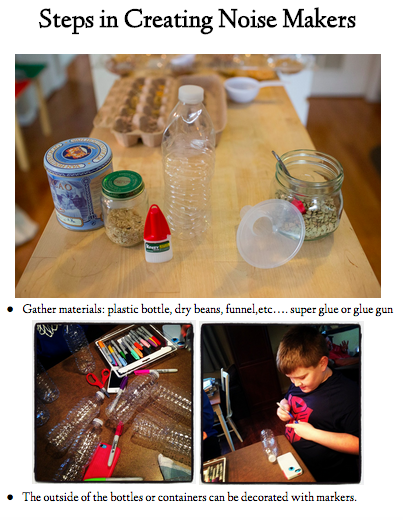 The steps are easy to follow and great practice for our young learners too. 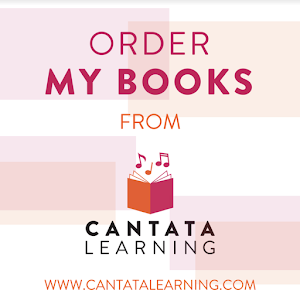 I also want to share an idea for bringing a Musical Makerspace to your school through the Cantata Learning books. 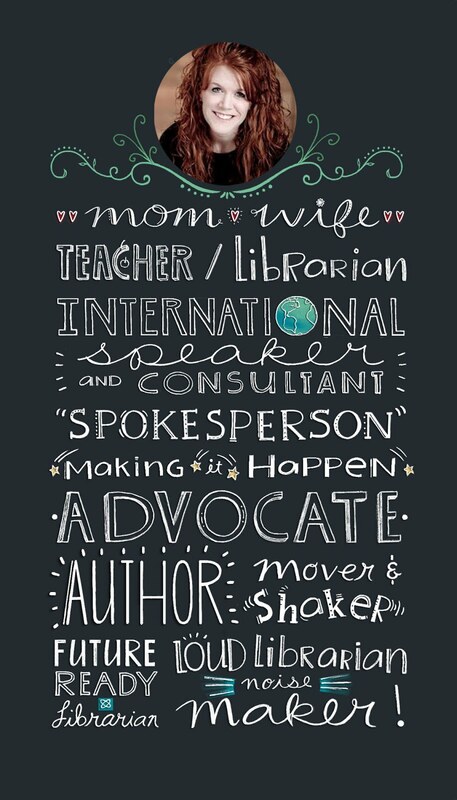 My amazing sister Heather Fox, who is the teacher librarian at Amana Elementary in Iowa, has created this interactive space as a display within the hallway at their school. 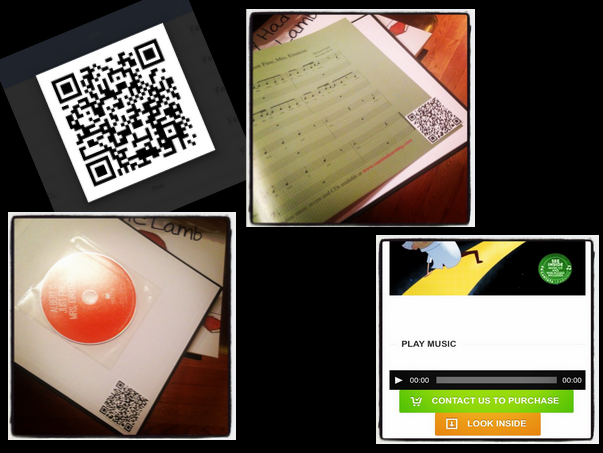 She copied the covers of the Cantata Learning books and we created QR codes connecting the students to the music of each title. 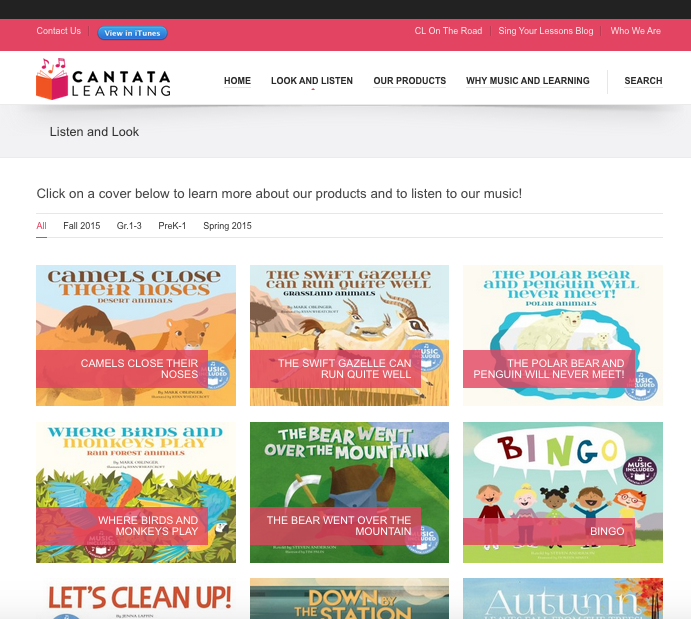 Remember....one of the neatest things about the Cantata Learning books.....The music is all available online. You can see each title here. 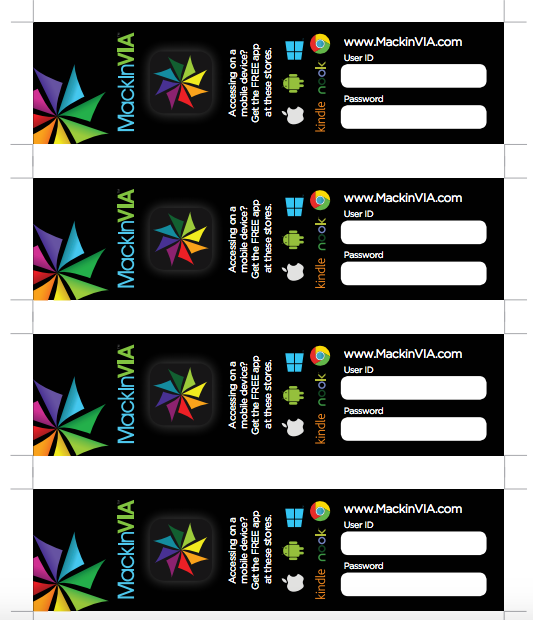 You can also print off all of the QR codes for the Spring 2015 and Fall 2015 titles within these Google Docs. 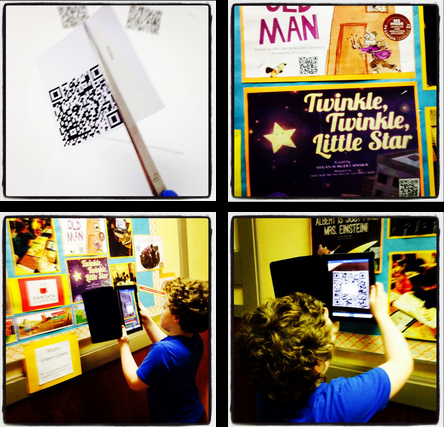 Each QR code is labeled and it is very easy to print these on paper or sticky labels to put into the books, up on an interactive Musical Makerspace like Heather made, as part of a shelf marker within your library, as part of fun bookmarks or posters promoting Cantata Learning, and much more. 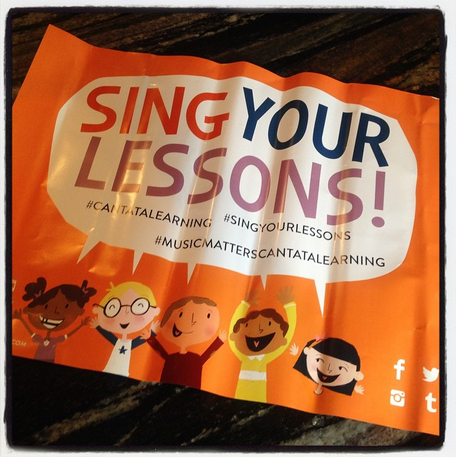 And Sing Your Lessons too! 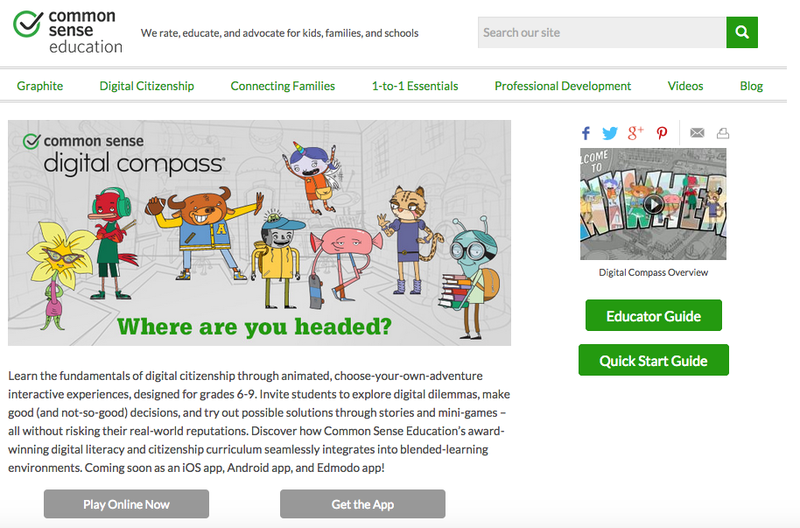 Digital Compass....A Brand New Way To Teach Digital Literacy and Citizenship To Our Kids! 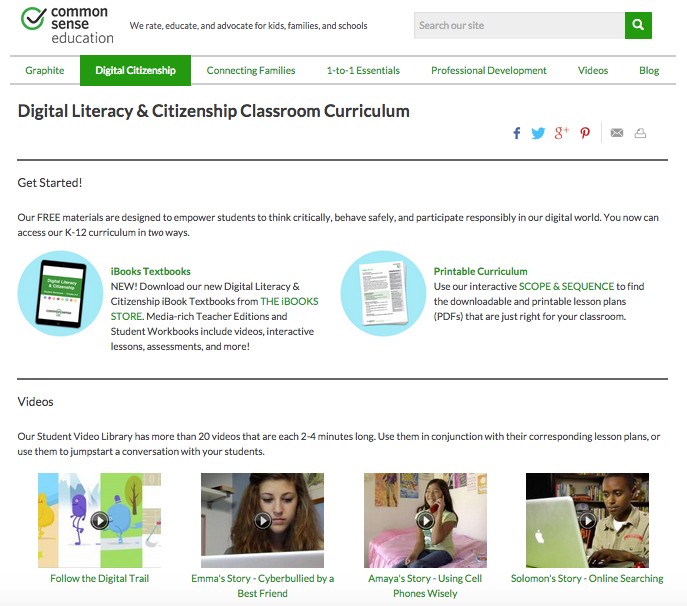 Our friends at Common Sense Media have done it again! 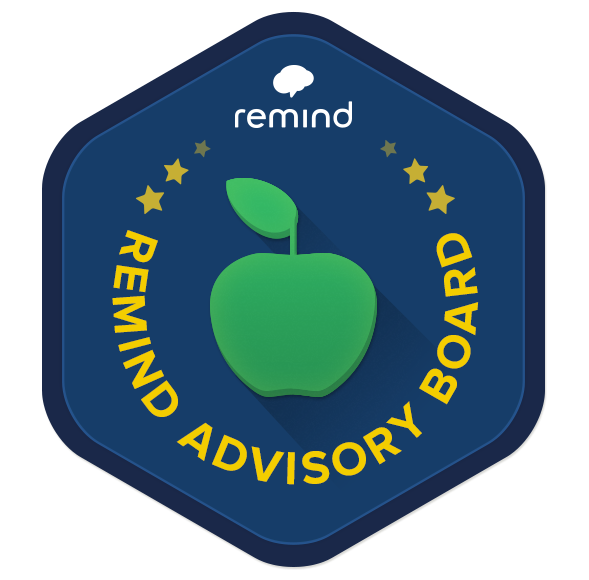 They have brought us something wonderful to use with our young people in grades 6th through 9th. 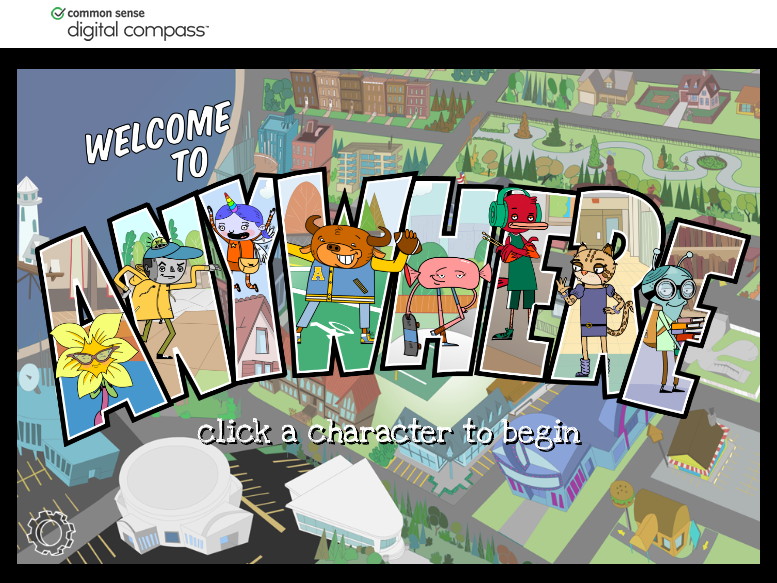 It is called Digital Compass and it is an animated, choose-your-own-adventure online, educational game that lets our students explore digital literacy and citizenship situations in a meaningful and engaging way. 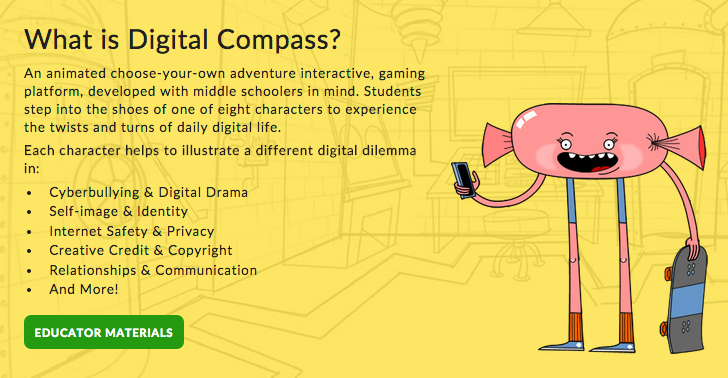 As you can see from the picture above, Digital Compass has used characters to illustrate several different digital dilemma's such as.... Cyberbullying and Digital Drama, Self-Image and Identity, Internet Safety & Privacy, Creative Credit & Copyright, Relationships & Communication, and more. 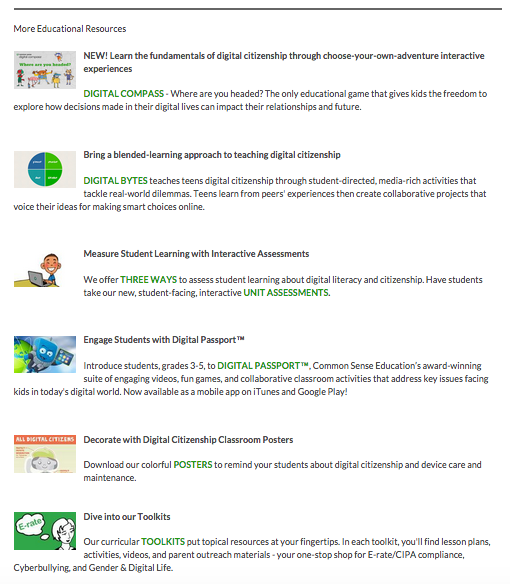 I have used a lot of the amazing Common Sense Digital Literacy and Citizenship Classroom Curriculum when teaching the K-12 students, teachers, and parents at Van Meter. 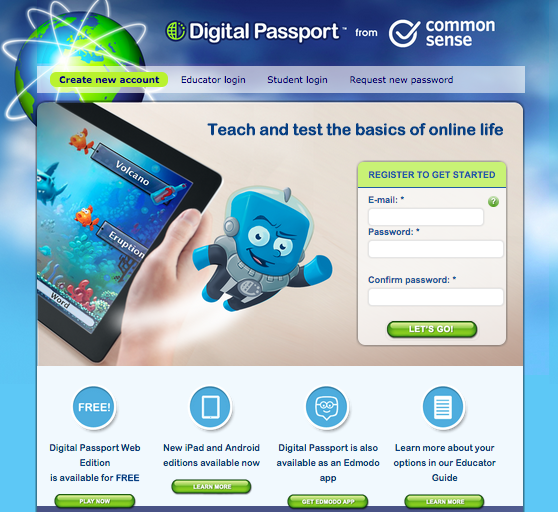 One of my favorite tools is Digital Passport, which I used with students in grades 3 to 5. 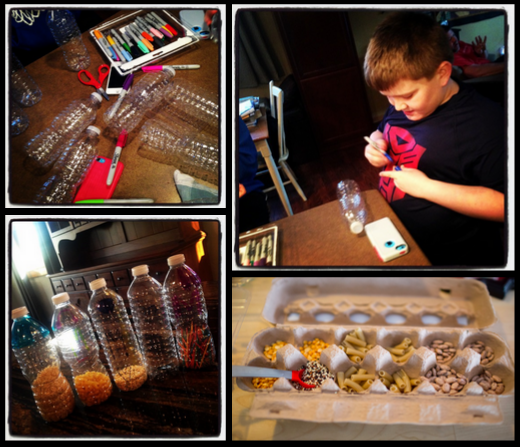 It includes videos, games and interactive classroom activities. 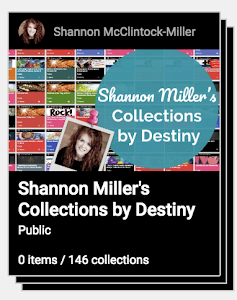 It is available online, in iTunes and Google Play. 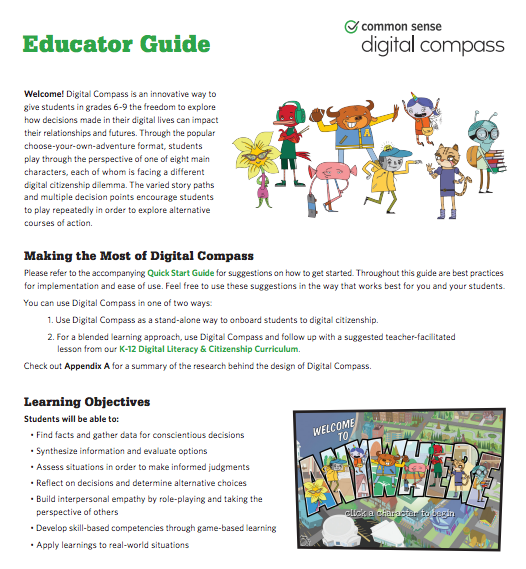 Now with Digital Compass, we can involve our older students in this important conversation too through something fun. 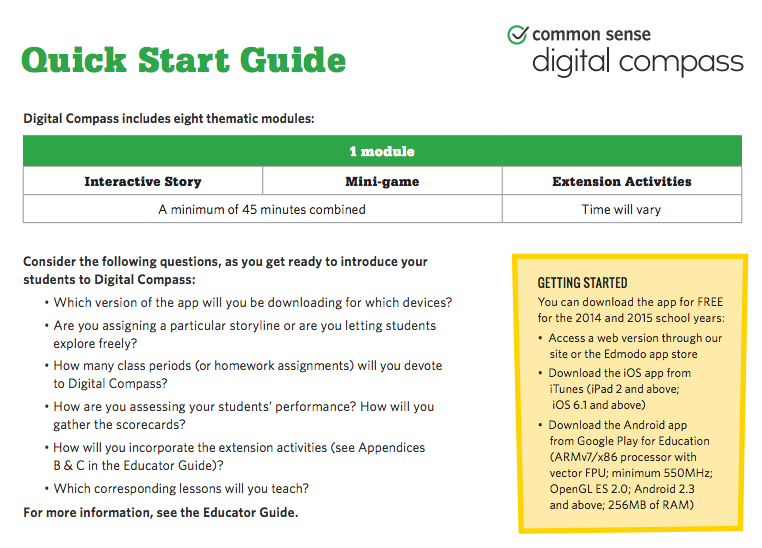 and a Quick Start Guide that will take you through the eight thematic modules of Digital Compass. 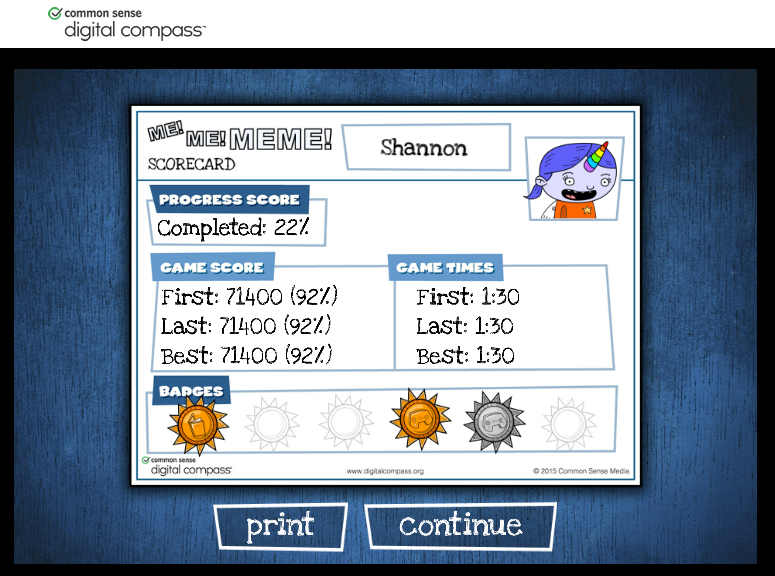 I played Digital Compass tonight....It was so much fun. To start you come to Anywhere where you pick the character you want. I picked cute little Wink! 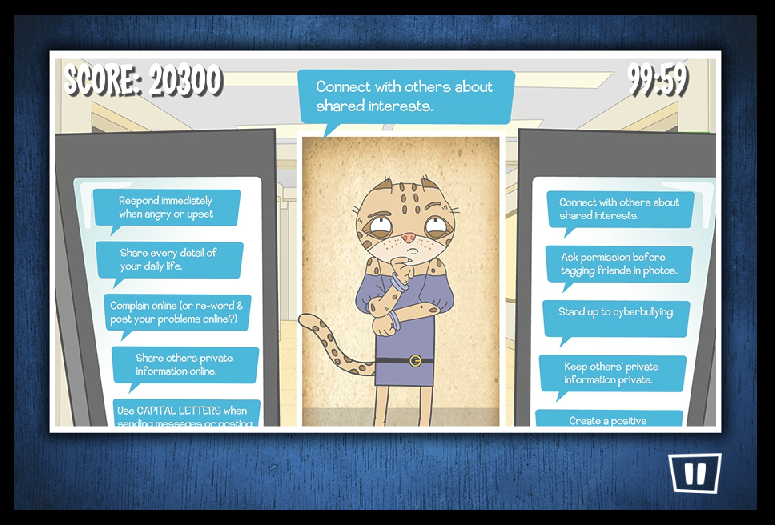 I worked through this mini-game and helped Wink not cross the line online and think about her digital footprint. 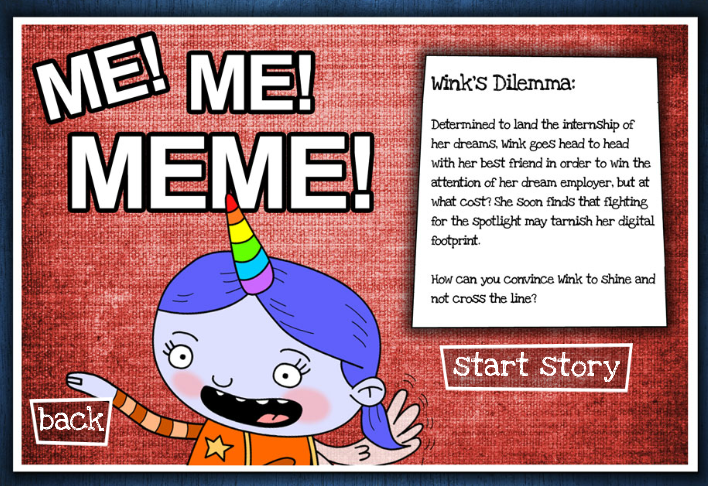 It was fun working through the interactive activity and educational in thinking about the choices Wink and her friend had to make. When I finished, Wink gave me a scorecard, along with badges for various accomplishments. I can print this off or continue with a new character. 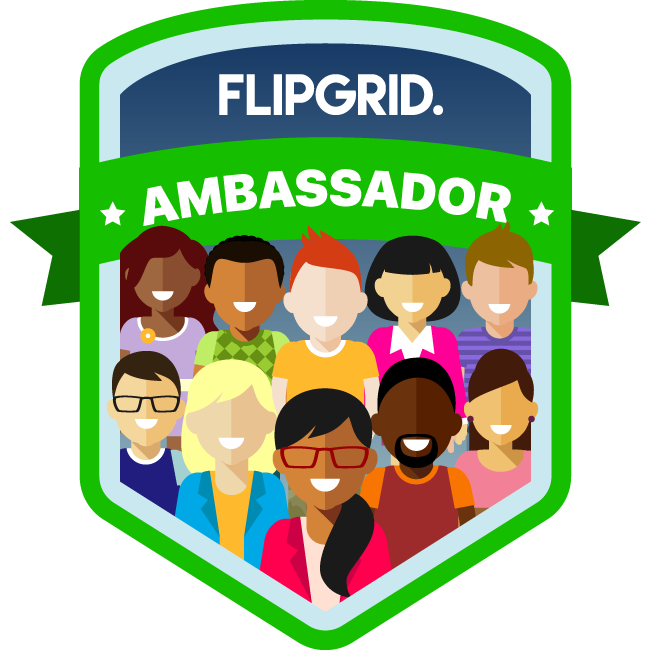 This will be so great with assessment, both quantitative and qualitative.....Digital Compass can also be integrated with Edmodo. 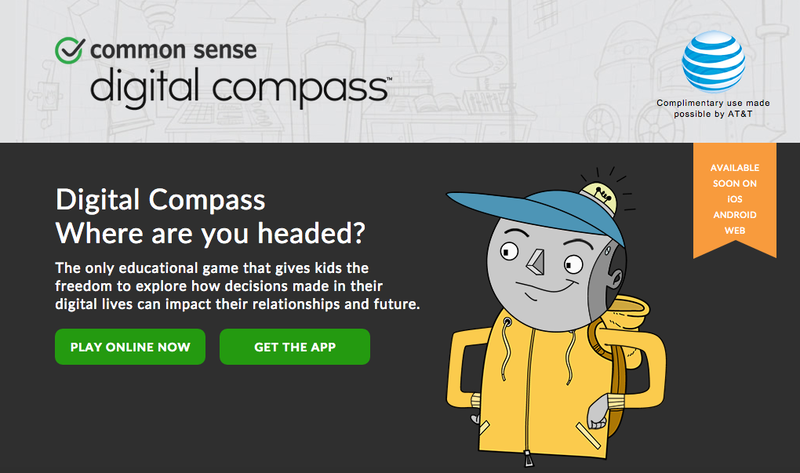 Check out the Digital Compass video that Common Sense created to give us an overview. 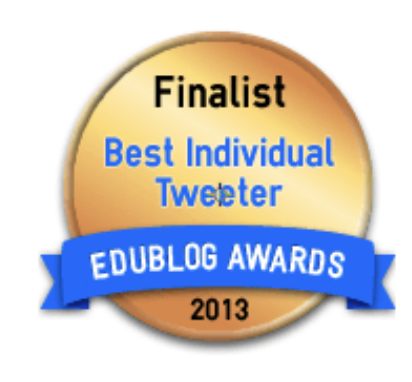 Teaching digital citizenship and literacy is one of the most important things you can do. And with Digital Compass, this become a little bit easier and a lot more fun!